What makes this very grumpy cat even grumpier? Hint: Don’t ask her to smile. 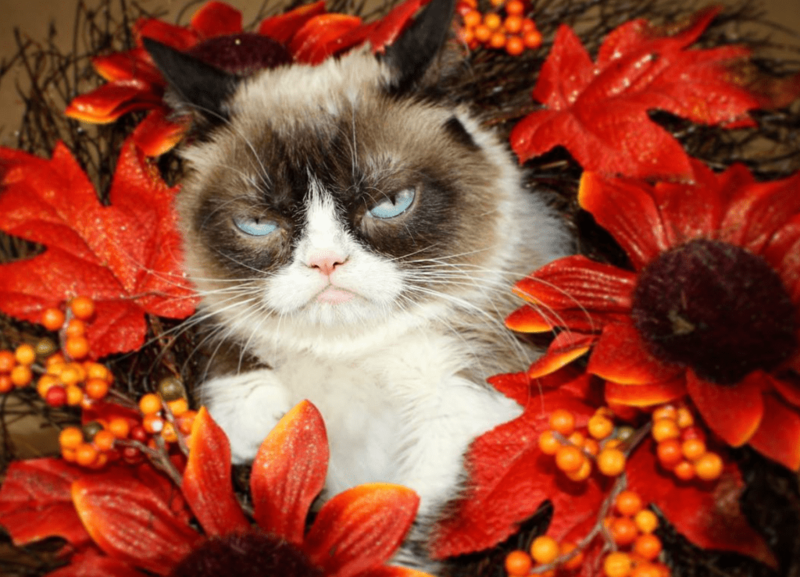 This comes straight from the Grumpster herself, posted on her blog, pawculture.com. 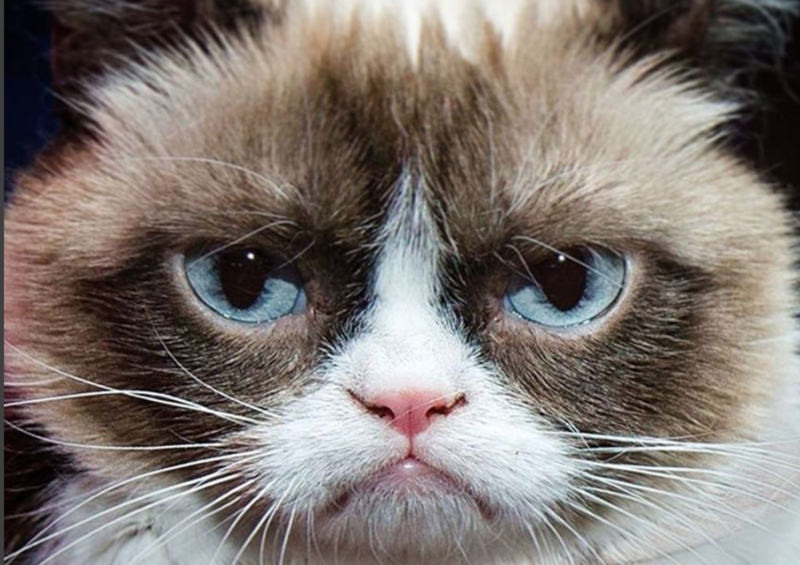 You can also check out her most recent pics on Instagram, @realgrumpycat.com. 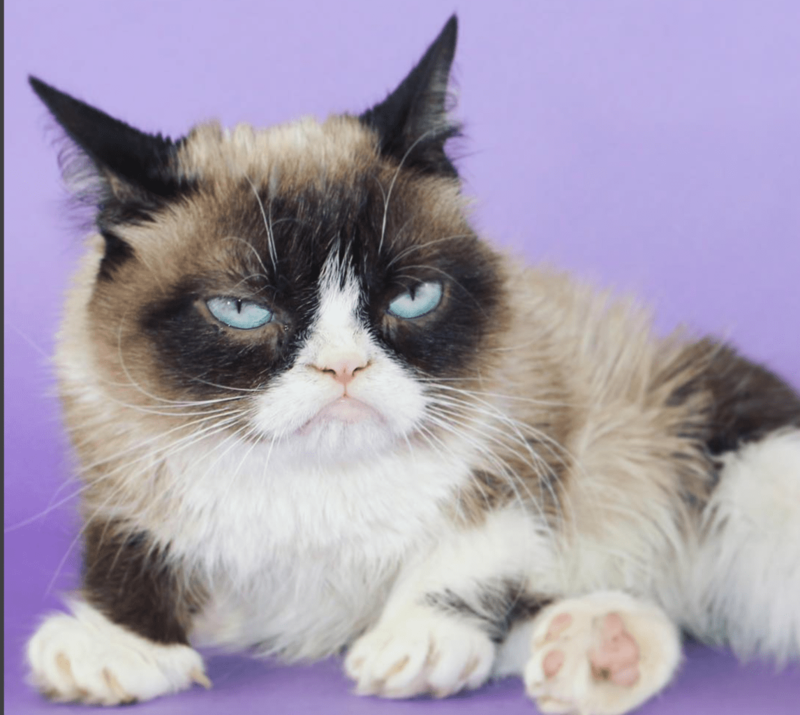 Grumpy cat has an underbite that makes her look as grumpy as she feels, and also has a form of feline dwarfism. Her human is Tabatha Bundesen of Arizona, a former waitress.